AN assessment should be taken to review the performance of people charged with the responsibility of delivering services to the Zambian people, says President Edgar Lungu. Speaking when supervising the unblocking of drainages in Kabwe’s Central Business District during the Keep Zambia Clean, Green and Health exercise on Saturday, President Lungu said there was need to take an evaluation of people in public institutions that were failing to deliver services to the Zambian people. He said it was frustrating that people entrusted with the responsibility to execute duties in public institutions were failing the Zambian citizenry. Kabwe mayor Prince Chileshe and town clerk Ronald Daka were at pains to explain to the Head of State why they were failing to unblock the drainages in the Central Business District when the local authority had the necessary equipment to carry out the cleaning exercise. But Central Province minister Sydney Mushanga said he would take responsibility for the prevailing situation in Kabwe. 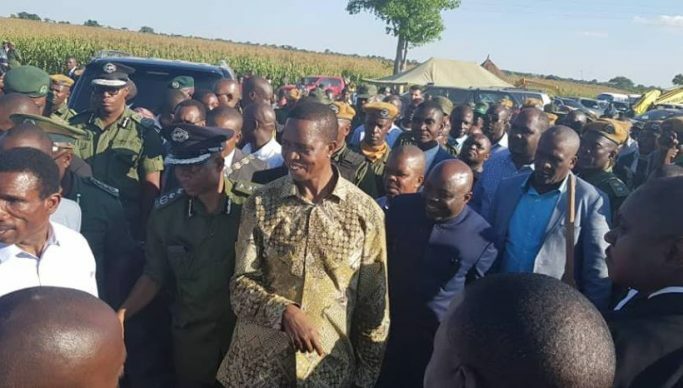 Mushanga, who is also Kabwe’s Bwacha constituency PF member of parliament, said he would ensure that Kabwe and Central Province, in general, was kept clean, green and healthy without waiting for the intervention of President Lungu. Mushanga assured President Lungu that, a provincial minister; he would ensure that “local authorities do the right thing at the right time in as far as keeping their environments clean, green and healthy” was concerned. Earlier in the day, President Lungu found time jogging as part of keeping fit. The President implored members of the public to ensure that they took time to take part in different exercises as part of keeping healthy.